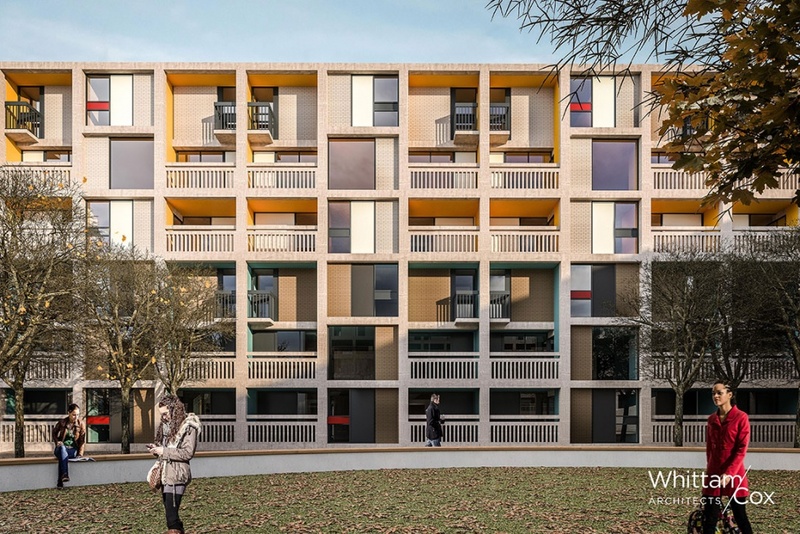 The transformation of Park Hill has taken another significant step forward. 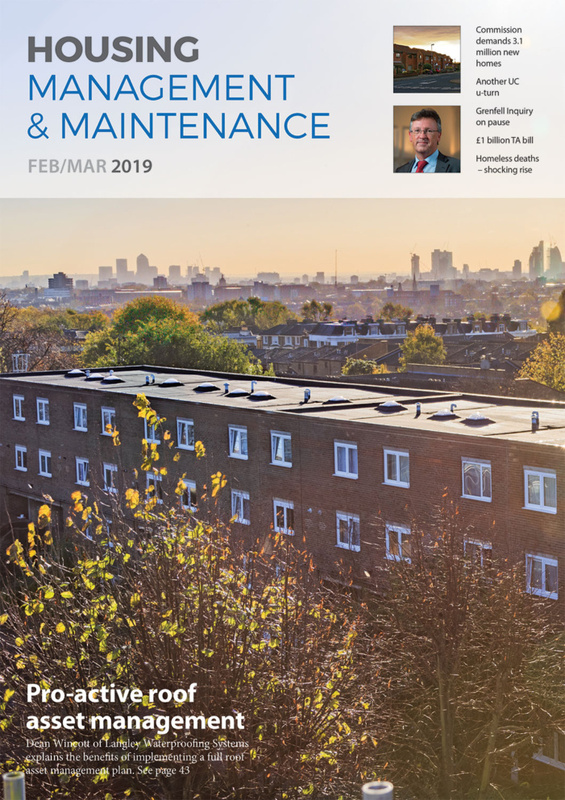 Following planning submission in early May, Sheffield City Council has granted planning permission for Phase 3 proposals for 74 units to accommodate 356 rooms, alongside new commercial space for shops, cafes or a gym. The accommodation has been designed around groups of four and eight bedrooms with shared living space in a unique three-storey ‘townhouse’ format. 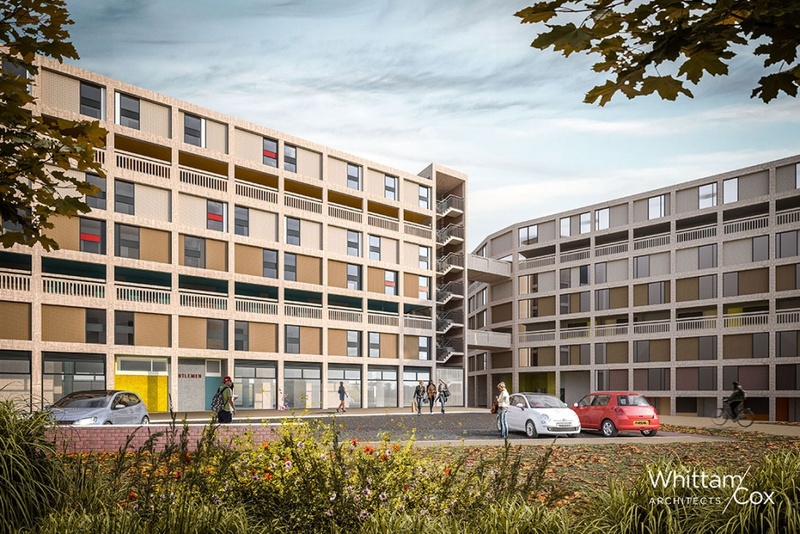 It is expected that Phase 3 will bring investment of around £20 million to Sheffield, with approximately 100 people employed in the delivery (including construction and design). 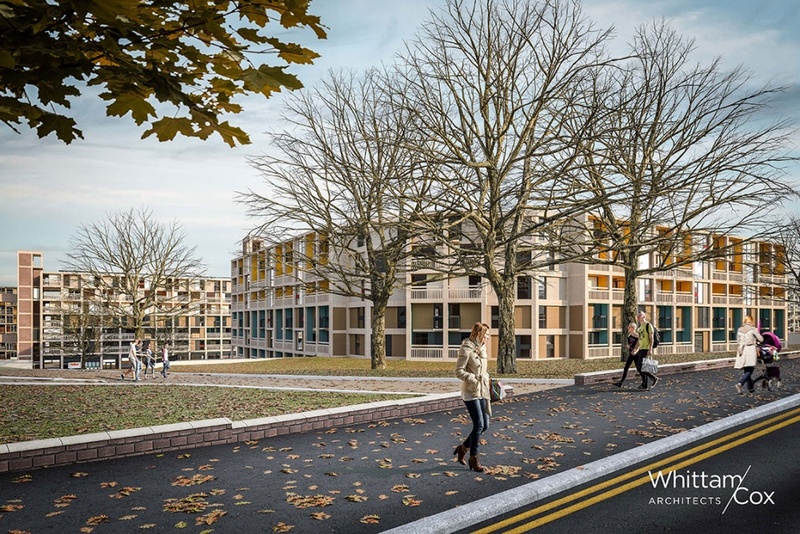 Once occupied, it is anticipated that the student population will bring an additional £2 million per year into the local community. 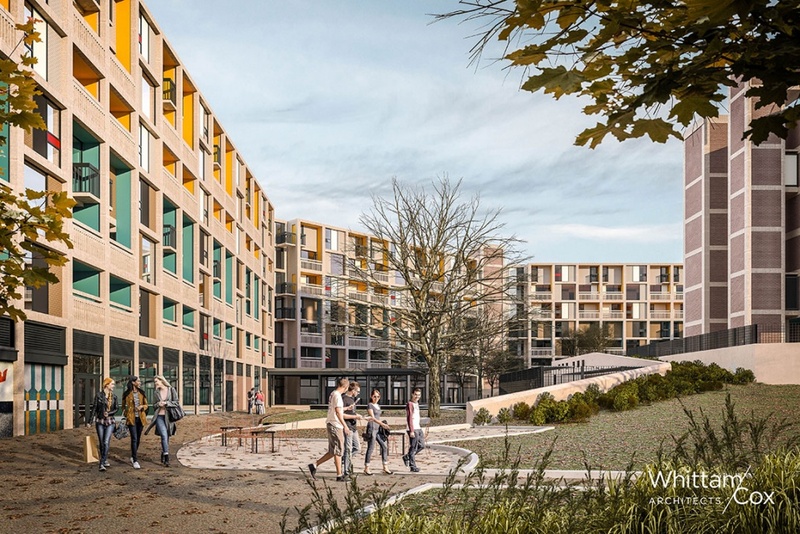 The proposals were developed by Whittam Cox Architects – the first design practice in the Sheffield City Region to play a key role in the transformation of Park Hill – which will add bespoke student accommodation to the existing mix of residents and businesses currently in Phase 1 and shortly to be joined by Phase 2 starting later this year. Alumno will be undertaking a thorough refurbishment using a conservation-led approach to preserve the historic character of the building, including the numerous mosaic panels across the block, which have inspired the colour scheme. 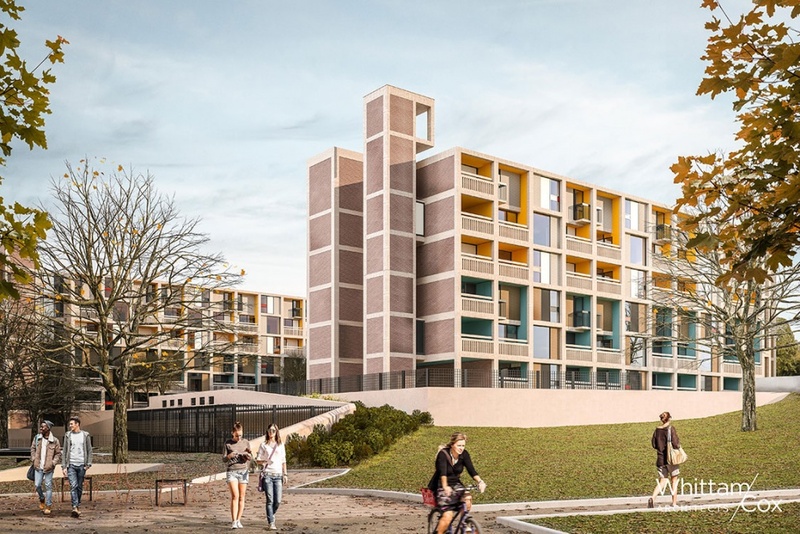 The proposals will add a distinct yet complementary neighbourhood to Park Hill that builds on the work Urban Splash has already done in giving Park Hill a new lease of life. In line with the views expressed by the local community, Alumno expects the development to be ready for occupation by the start of the 2020/21 academic year. 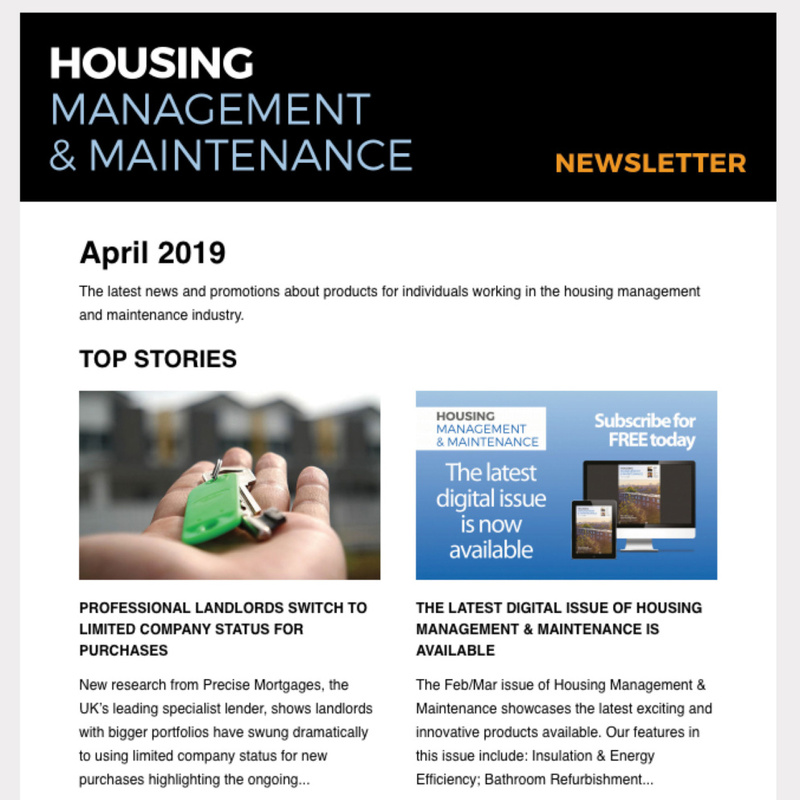 Alumno will also work closely with Urban Splash to progress securing occupiers for the commercial space. 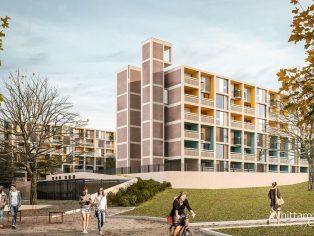 “Park Hill is quite simply one of the most iconic places to be in Sheffield, and can hold its own with any architectural landmark in the whole of Europe. These phased plans are a further sign of progress and confidence in the area, which is now thriving with an active community with regular events, a new cafe, businesses and the home of S1 Artspace who attract visitors from all over the city with their ongoing exhibiton and events programme.